It started with those five little dreaded words, "The flight has been cancelled." 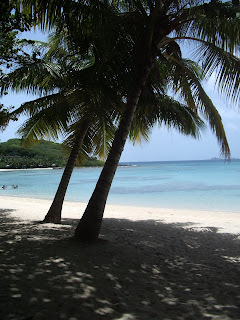 We had been planning this trip to Vieques, Puerto Rico with Mike and Mary for five months. Now, for the second time (for me) in as many weeks Northwest abandoned an entire planeload of people and has us rushing to another gate for "rebooking". Mary and I were busy on our cellphones while Georg and Mike dutifully waited in line with the other cattle. Somehow, miraculously, Mary was able to get through to a Northwest agent on the phone and get us on another flight leaving an hour later. As we rushed to the gate we wondered how long it would take the other 200 odd passengers to get out of Detroit. We made our connection in Newark for San Juan and arrived at 1:30am. 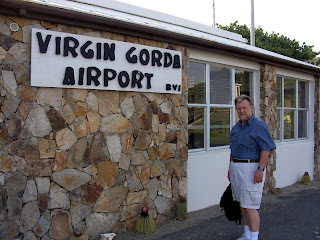 Since we had a 6:30am flight with Vieques AirLink we had decided not to book a hotel room for just a few hours, so we spent the time at the airport. Some of our time was spent trying to find one piece of Mike and Mary's luggage, which we ultimately discovered had not arrived with us in San Juan. The rest of the time Mary and I played Scrabble, while the guys alternately went out for a smoke or tried to doze. At 5:30am we needed to get to Isla Grande airport. There was a taxi driver patiently waiting outside and we agreed to let him take us. He barely managed to cram all of our bags in the trunk and we were on our way. Right away, we noticed an alarming noise coming from the cab. It sounded as if the car was rubbing on the tires with the weight of all four of us, the driver and the luggage. It was too late to turn back now, but we prayed our way all the way to the Isla Grande airport. We were finally on our last leg, exhausted but happy that we would soon we ensconced in our beautiful, oceanfront rental villa called Las Piedras ("The Rocks") we had found online. We got our rental car and met the villa rental agent. Our first clue that something was wrong was when we pulled into the driveway of the villa to overgrown vegetation that scraped our car as we tried to get through. 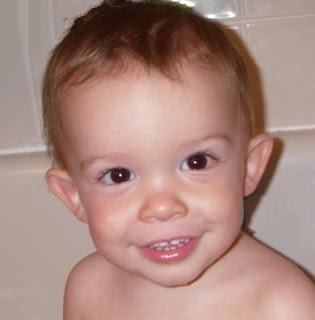 The second clue was when she could barely open the front door which was swollen shut. The third was the filthy pool, which we had looked forward to jumping in immediately upon arrival. She apologized, citing rainfall as the reason, saying she would have someone out immediately to clean it and departed. We were in a state of shock at the disrepair we found in the house, but we didn't know what to do and none of us knew what the other was thinking. After she left, we had a meeting and agreed that it was impossible for us to stay there. We had paid in advance and didn't know what our recourse should or could be. We also didn't know where to begin finding someplace else to stay. All my research on rental villas was at home. My first step was to call the rental agent on the phone. 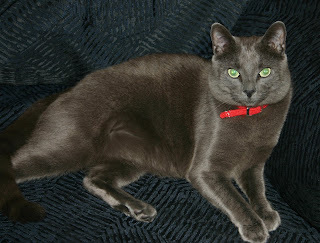 (Thankfully my cell phone worked, if I plugged in into the wall and sat near the window.) To her credit, and to our relief, after some firm conversation she did agree to refund our money. Nearly comatose, but determined, we now had to find another place to stay. I started calling some local numbers I had brought with me of people that assisted me in my research in the last months. An hour and a half later with their help we found availability at the Pool Cottage, which had been one of my first choices originally. The proprietor told us they could have the house ready for us in three hours. We dropped our luggage off at their office and passed the time in Esperanza at Duffy's. A marguerita or two later we were starting to feel better. At this point we had been underway for 24 hours and awake for 32. At 3:00 we were back at our new villa. We couldn't believe our good fortune. Everything was immaculate and gorgeous. We now had a villa that had everything Las Piedras didn't: it was immaculately cleaned and maintained, the pool was crystal clear, we had air conditioning, two TV's, free internet and free telephone calls back home. Tom (one of the owners) welcomed us with a chilled bottle of white wine. We convinced him to stay and have a glass with us. Lastly, and best of all, it was $750 cheaper for the week than that other dump! Tired as we were, we had a dip in our wonderful, clean pool and felt energized enough to actually go out to dinner. The Blue Macaw had been recommended to us by Tom and he was right - it was wonderful. In fact, they walked in 1/2 hour after we did. Later, back "home" for another swim and finally, a blissful night's sleep. Our first complete day on the island, we decided to drive out to Green Beach. What fun we had watching all the tiny crabs scurrying away from our car as we crept along. We saw tons of huge crabs as well that popped into their holes when we passed. There are lots of different access points to Green Beach and we tried most of them until we found our "perfect" spot, under a gigantic palm whose fronds reached almost to the ground. We beachcombed and swam and Georg actually saw a ray jump right out of the water. The water was the perfect temperature. Later we stopped for groceries at a market in Isabel II. There was not much availability of fresh produce, meat or fish, but we did find some frozen patties with mushroom and swiss. To my shock they were delicious - I'd buy them again. After dinner we had music, drinks and candles poolside with the stars twinkling. Dreamy! 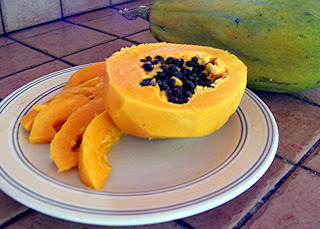 Mike, Mary and I had our morning walk and we decided to have breakfast at Tradewinds in Esperanza. Bloody Marys, scrambled eggs in a tortilla with beans and cheese and Georg had homemade corned beef hash. The two guys next to us had been in business here for 30 years and we had a nice long visit with them. We loved our waitress, Dotti. We talked and talked with her and later in the day she even brought over a Scrabble dictionary and a Super Scrabble game for us to use! We were amazed to see that she had nine dogs in the car! She also told us that each dog has one cat, so she owns nine dogs and nine cats. After breakfast we did some shopping in Esperanza. I bought a beautiful glass necklace at Kiln Creations. They are not on the main drag, on one of the side streets (Magnolia?) Got to talking with the owners. What an interesting couple and what fantastic work they do. We went back to the villa to chill, swim and read and later made garlic shrimp linguini for lunch/dinner. Then it was time for the biobay excursion. We met at Island Excursions and were bussed along with 30 others to the lagoon. Mark, our guide was very informative and entertaining. At one point, the bus stopped and he ran out and caught a huge crab in the middle of the road, barehanded. He brought it back in the bus to scare all the girls. Then we got on the boat/barge and were underway. It was magical just gliding along in the dark on a balmy, star-filled night. Mark was using a laser pointer to show us planets and constellations. Everyone was given a safety belt and most of us went in the water. The water sparkled like stars when you lifted your arms or legs out of the water. We were out for awhile, perhaps 15 minutes, when all of sudden everyone was going back on the boat. Back on board I found out that at least 5 people had been "stung" by jellyfish, including Mary. The crew applied a steroid cream to the affected areas. She described it like an intense itch/stinging that lasted about 20 minutes (you are instructed NOT to scratch). I did notice before we left that the crew were refilling a spray bottle with vinegar. On the way home, we were hungry again and stopped at Williams Pizza for carry-out. We got one large with everything for about $24. Ended the day eating pizza and Mary and I playing Scrabble. The next day was beach day. 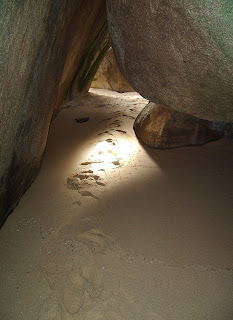 We started out on Playa Prieta, or the so-called Secret Beach (which incidentally, was not so secret. It was very well marked, as all of them were.) We had read there was no shade, but we were able to find a shady nook and there were more than one. We floated there for awhile and proceeded on to Red Beach where we settled for the rest of the day. There was an open shelter and we could spread out our gear and swim to our heart's content. While it was not as secluded as some of the other beaches, the water was perfect. A perfect shade of turquoise, perfect temperature and not too wavy. Mary and I left the guys and did some side exploration. We decided we liked Blue Beach the best and determined to come back here next time. It was lunch time and we headed into town for a carry out lunch. We brought back cubanos and snapper sandwiches from Bananas to the shelter. I had read about a woman who sells homemade flans from her house. Somehow we found her house - a yellow house on the opposite side of the street from Bananas, going out of town. There was no sign to indicate which house it was. Her business is strictly word of mouth. The flans were not very big and she was charging $9 apiece! But, oh well, we went ahead and got two, vanilla and coconut. We didn't end up eating them until the last night at the villa. We all agreed that they were very tasty. Later, after a nap and a dip in the pool we got dressed up and went over to Bravo Beach Hotel bar, thinking we would have a drink and then decide where to go for dinner. It had been promoted as "the coolest hot spot" frequented by the beautiful people. As it turned out there were just a few early twenty types in shorts and t-shirts at the bar. OK, we decide to go to the restaurant for drinks and an appetiser. It seems great effort was put in to give this place a cool vibe, but we were not impressed. We had our one drink, which took a long time to get, despite the fact that only three tables were occupied, and decided not to order any food at all. We drove into town intended to try Media Luna - but it was closed. 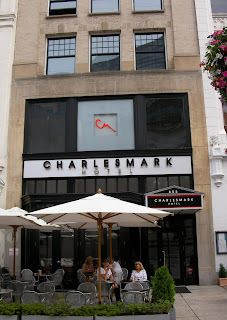 Apparently, it is under new ownership, same chef, but will open in a few weeks. Now it was between Uva or Blue Macaw again. We opted for Blue Macaw. We decided to splurge. Georg had crab salad, New Zealand lamb chops and Swedish creme with blackberries for dessert. I ordered French Onion Soup, flank steak and bread pudding. We both had a drink as well. Our bill came to $89, not counting tip. Very reasonable, and everything was perfectly prepared and presented. I think I was extra hungry cause my vacation reading material is "Heat" by Bill Buford. He worked for Mario Batali and gives an insider's view what he and his kitchen is like. We rolled on home and hoped to wake in time to make the 10:00 church in town the next morning (Sunday). Today was the best day of vacation so far. It was perfect from start to finish. We started out the day at the Iglesias Methodista in Esperanza. We thought we were getting an English-speaking service, but it was all in Spanish. It didn't matter one bit. What an awesome congregation. The love was tangible among the people and was reflected in their affection toward us. I was literally in tears most of the time. The music was infectuous. The pastor's wife welcomed us from the pulpit. Even the youth were sincere in their faith. It was extremely touching and I shall always remember it. Just like home, we went out for lunch after church only this time we didn't end up at Fuddruckers, but at a little roadside trailer where they serve local homemade food. A family with their two young daughters were selling the food. The two little girls were so cute and were practicing their English on us. "You give us money and we give you food." I couldn't stop taking photos of them, as well as of the cutest, friendliest baby ever named Narjelli. Back at the villa we cooled off in the pool and then Mary and I started a Super Scrabble game poolside. It has twice the letters and a lot of higher scoring options on the board than regular Scrabble. Suddenly, we were startled by a loud rustling, then an enormous splash. We looked up to see Oscar, the resident dog who had chased a huge, bright green iguana into the pool. 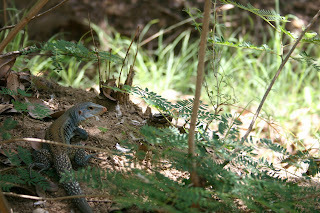 The 1-1/2 foot long reptile was swimming underwater and the dog was watching from the pool ledge. We watched in amazement as the iguana tried to make it up the side of the pool several times, until he was successful and made a mad dash up the fence and into the adjoining yard, leaving the dog poking his nose through mournfully. It was so hilarious. As an afterthought, I am so glad I wasn't in the pool at the time. Kevin told us later that this is not a rare occurrence. 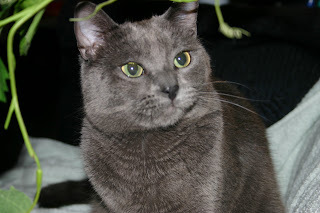 Sometimes Oscar sits watching for hours while the iguana stays on the floor of the pool. We spent the rest of the afternoon at the beach at Mosquito Pier. Awesome snorkeling. Saw lots of red and yellow sea stars, a spiney lobster, crabs, rays, tons of great coral and great shelling. Found a beautiful red live conch, which we threw back, of course. Mary and I walked along the water's edge, mezmerized by all the sea life right at our feet. We never wanted to stop and only returned when it became too dark for us to find our way back. Georg and Mike were patiently waiting in the car for us. Later that evening we waiting until midnight to watch the Perseid meteor shower from the deck chairs. Our last day on Vieques we decided to just hang out at Blue Beach all day. This was our favorite beach yet. The water was like bathwater, calm and crystal clear. There are lots of little turnouts, each of which contained a shelter and most with private picnic tables. We settled down for the day with our lunch and beach chairs for a day of snorkeling and floating. There was lot of varied coral toward the area of the rocky outcropping on the left side. Georg and I saw huge brain coral, the long black spikes of spiny sea urchin, purple fans among many others. Mary spotted a turtle in the same area. The water is shallow to just a little over your head throughout the area. 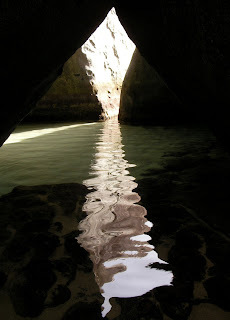 Later we stopped at Navio Beach to check out the caves and agreed we would come back here if we only had more time. There were bigger waves here but the water was still turquoise and a perfect temperature. On the way out we took a look at Sun Bay. A huge beach with gorgeous palm trees, it would be a perfect spot for a family outing. 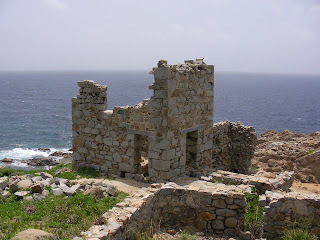 When we first landed on Vieques, I was a little dismayed by the run-down condition of many of the local homes. All the houses have bars on the windows and you begin to wonder why that is. Apparently there is a problem with petty theft. We knew this coming in. We never felt unsafe, however, not even at all the secluded beaches. We did make sure not to leave our valuables unattended. I have come to the conclusion that this is the perfect place for beach lovers. 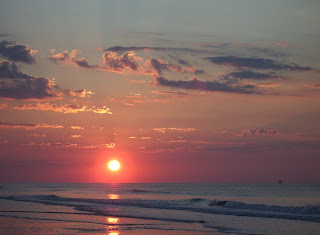 All the beaches are accessible (OK with the exception of extreme potholes on the dirt roads) and there are tons of private places where you can park close to your own spot on the beach. I didn't think I would feel this way, but I would return to Vieques. Tom showed us some rental properties he was refurbishing and if we could rent one of those, I would definitely come back. Tonight after dinner our romantic guys lit candles leading up the steps to the little screened house on the property called "The Folly". We had our flan dessert in there by candlelight. A great way to end our vacation here on Vieques. We had booked our last night in Puerto Rico at the Hotel El Convento in Old San Juan. We had an uneventful and efficient flight to San Juan from Vieques. Before the trip we had a discussion about whether to fly or take the $5 ferry. This would have entailed a 1-1/2 hour, $80 cab ride from San Juan to Fajardo each way and then the ferry to Vieques. 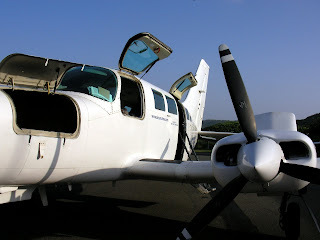 We decided to fly Vieques Air Link for $92 round trip (from Isla Grande airport). It was a short 20 minute cab ride from SJU and a 25 minute flight. We got a good rate at El Convento ($150/night). The Howard Johnson Plaza des Armas was just $15 cheaper a night. I'm very glad we opted for the better hotel. 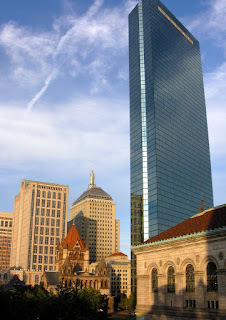 We experienced pleasant and efficient service from the front desk and our rooms were comfortable. Georg loved the flat screen hi-def plasma TV. I loved the free wine and cheese reception and proximity to shopping and a myriad of bars and restaurants. Mary and I bought the guys matching white linen Puerto Rican shirts. That evening we walked a bit and ended up at Baru restaurant. On the way to the restaurant we had a glimpse inside a building through open windows where a flamenco dancing class was taking place. The echoing of their heels on the wood floor resounded down the deserted dark street. The sight and sound of it were fascinating. The morning of our flight back home Mary and I arose early and had our morning walk at 6:30. We walked along the water by the ancient wall of the fort which was sillouetted against the sunrise. I was startled by a huge Carnival cruiseship coming around the corner. 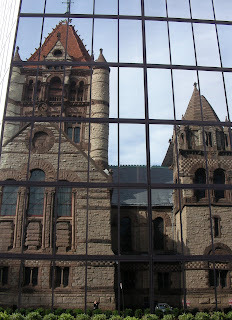 It seemed so surreal, the juxtaposition of the old and the new. 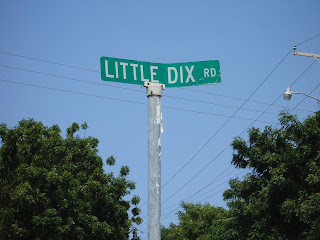 There is a funny postscript to our travels. After our rocky beginning a week earlier with Northwest, we had some trepidation about our trip back. We were booked on Delta from San Juan with a stopover in Atlanta. San Juan to Atlanta was fine. In ATL they asked for one volunteer. After a quick consultation with Mike and Georg, I offered my seat. Then, a bit later they asked for another person, so Mary offered hers. We were supposed to fly out less than two hours hence. We left the hubbies to catch the original flight and made our way to our next gate. Mary and I played a game of Scrabble while we waited and boarded the plane at the prescribed time. In the meantime we were wondered how the guys are doing, were they in Detroit yet, would they be bored waiting for us, wiould we find each other at the airport? Just as the doors of our plane were closing, who should come strolling on board, but Georg and Mike! At the last minute the other flight needed two more volunteers and they gave up their seats with no hope or guarantee of getting on our plane. They were originally rescheduled for three hours later. But through some paperwork problem two other people were not allowed on board and our two guys were given their seats. I wish someone had gotten a photo of our faces when we saw them striding on with big smiles on their faces. It was reminiscent of "The Amazing Race" when at the last minute one team makes the flight after all. Now we're home safe and sound, cats purring on our laps and ready to reflect on all that we experienced in the last week. It was a week filled with many unexpected blessings and a lifetime of memories. We are in the process of exploring the Caribbean, one island at a time. Since there are 7,000 islands, this might take a while. 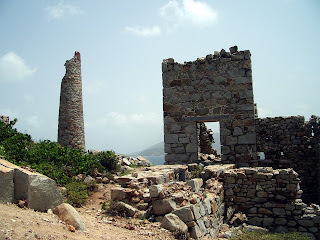 So far, we've done Mexico, St. John (U.S.Virgin Islands), St. Barts (French West Indies) and, most recently, Virgin Gorda (British Virgin Islands). 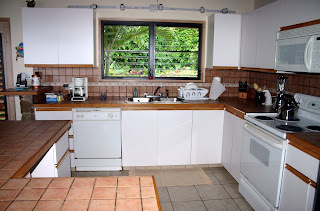 On all our most recent trips we have done rental villas instead of hotels. We like the privacy and being able to shop locally and cook our own meals. We do go out to eat occasionally, but we do save a lot of money buying our own food. Plus it supports the local economy and we can rub elbows with the native people. We don't rush around to all the sights. We do one or two a day and come "home" and float in the pool or read. 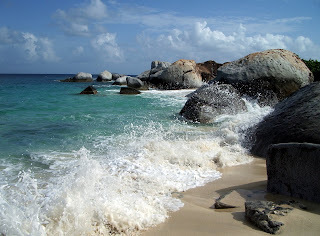 Virgin Gorda is part of the British Virgin Islands. We flew into San Juan and took Air Sunshine (otherwise known as "Air Sometimes") to the island. 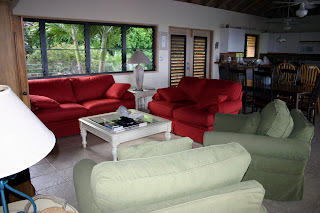 Our car rental and villa rental agents were waiting for us at the tiny airport and we were on our way to Open Deck, one of the Mahoe Bay Villas. We were driving on the "wrong" side of the road and the first time is always the most stressful, but Georg did great and we arrived at the villa in about 15 minutes. 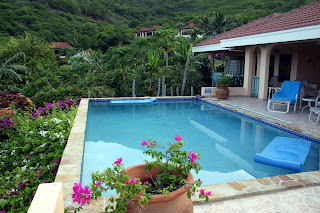 The rental agent showed us around and by 6:00 we were in the pool watching the sun go down. Before the trip I had ordered a beginning supply of food to be delivered to the villa so that we wouldn't have to rush out for dinner, breakfast and lunch staples the first day. 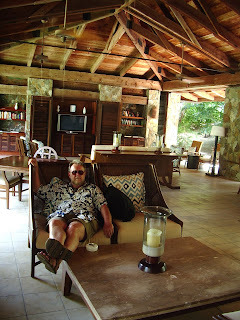 The villa had a huge gas grill and we barbequed steaks and baked potatoes for our first dinner on the island. We ate on the covered terrace next to the pool. The next morning we had our first look at Mahoe Bay and the gorgeous white sand beach. 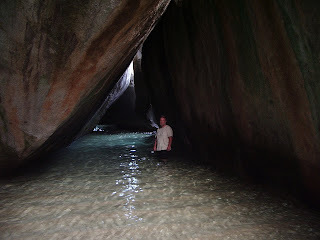 We wasted no time getting to the reason we came here in the first place: The Baths. They are an unusual geologic formation located on the southern end of the island which show evidence of the island's volcanic origins. 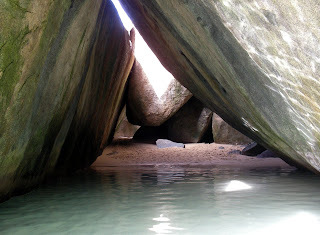 Huge granite boulders lie in piles on the beach, forming scenic grottoes that are open to the sea. If you go early enough in the morning you have the entire place to yourself. 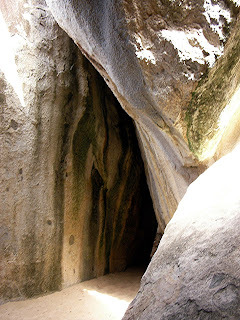 Finding our way through the caves and grottoes in total silence was a spiritual experience as though the Lord himself had designed this monument to his awesome power. One morning we drove out to Coppermine Point, where in the 1800's Cornish miners extracted ore and shipped it back to Wales. 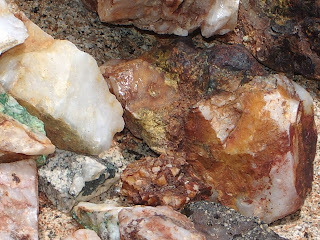 Rich veins of copper and other minerals are evident throughout the rocks on the point. This is a British National Park and it is against the law to take anything away from the site. 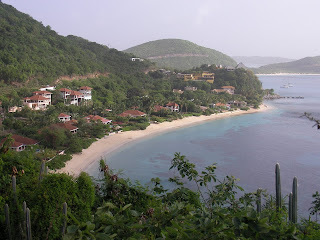 We began having problems with one of our cameras and decided we should take it to Tortola. 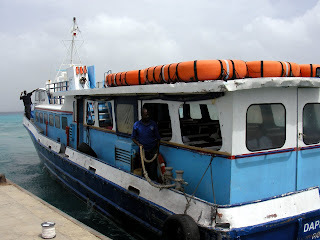 There is a ferry that leaves from Spanish Town every few hours. Just as we arrived, the ferry had just left and we could see it in the distance. There were some guys on the dock, who, seeing us, ran toward the end of the dock shouting and waving their arms, to no avail. All we could do is head back to the car to try to kill a few hours and wait for the next one. No sooner had we loaded up the car and were ready to pull out, the guy from the dock came running up to our car saying we should hurry, the ferry was coming back for us. Where else in the world would that happen?!! As we boarded we did notice some not very happy looks from the other passengers. 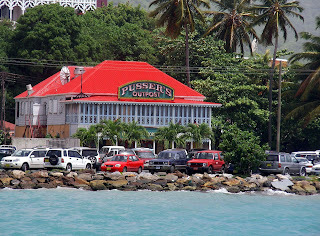 Road Town on Tortola was filled with many shops that cater to tourists and Pussers, which is famous for it's rum. 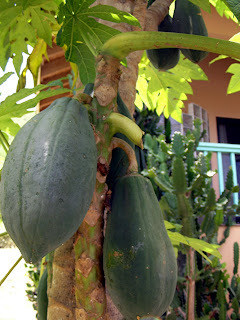 Back at the villa, we noticed a profusion of fruit trees and decided to help ourselves to some fresh papaya for our breakfast the next morning. 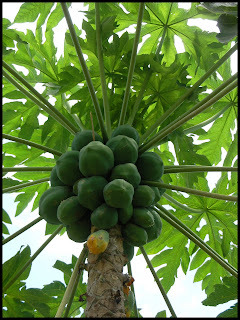 We found a long pole, probably placed there for that very purpose, and proceeded to knock down a couple of papaya from a very tall tree. Virgin Gorda, like many of the Caribbean islands, is overrun with goats. They run in small herds alongside the road, balancing precariously on ledges with steep dropoffs. 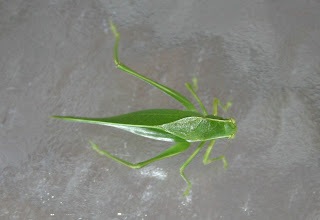 Other wildlife consisted mainly of lizards and gekkos and this very beautiful grasshopper, who planted him/herself permanently on our dining table outside. 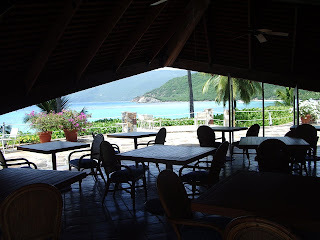 One of our dining excusions took us to Little Dix Bay, founded by Lawrence Rockefeller and one of the most expensive resorts in the Caribbean. 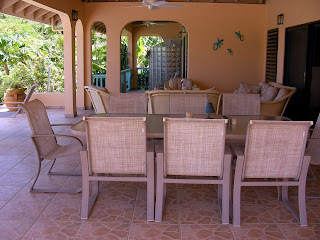 The setting was exquisite, but we wouldn't have traded it for our own little piece of paradise at Open Deck. Even though we weren't guests of the resort we were treated extremely well. We were seated at a front table with a view of the breathtaking bay ringed with perfect palms. Lunch was delicious. Really pricey, but delicious..
Sunday came, a week had gone by so quickly: we had lost track of time and it was time to return to reality. Yet we were ready to go home and get back to work. When we got to the Northwest counter at the San Juan airport, on the spur of the moment, I asked if they needed anyone to volunteer their seats. Yes, they did need our seats. So, it looked like we were going to spend one more night on vacation. Northwest put us up at the San Juan Towers for the night and paid for our dinner. In exchange they gave us vouchers for a free flight anywhere in the U.S., Mexico or Caribbean. The next morning, back at the Delta counter (this time it was Delta, because Northwest had booked us on their flight into Detroit), the scene repeated itself. Unbelievably, they were overbooked again. Georg and I looked at each other and volunteered again. Once again, they took our seats and we found ourselves with a second set of vouchers for $400 each toward a future flight and lunch vouchers. We were starting to feel like Tom Hanks in "The Terminal." We decided to splurge on a day pass for the Delta lounge and made ourselves at home for the next five hours. The lounge had an internet connection, TV, comfortable couches and all the drinks and refreshments we wanted. When it came time for our next flight we offered our seats again, but this time they weren't needed and we were finally on our way home. Now, with two free tickets in hand, the question is, where do we go next? 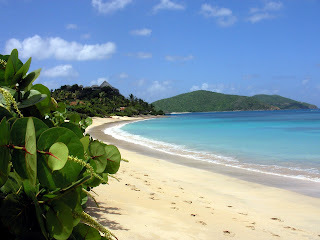 We already have plans to go to Vieques, Puerto Rico with our close friends in August. 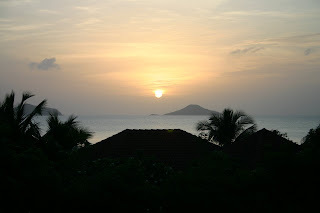 I am considering St. Kitts, Grenada, Guadeloupe as possibilities. We are so blessed to have the opportunity to enjoy this beautiful world the Lord created. 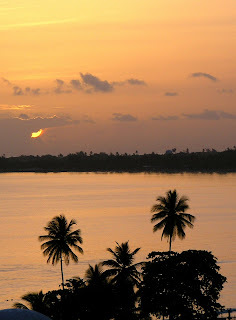 This photo is of the sunrise from our hotel window in San Juan.